Shopadollar not only ships to Ghana and other African countries, but also ships internationally. For example, our Ghana based electronic and computing company delivers to the USA, Europe, Asia, and Australia. We are very pleased to announce that many of Shopadollar’s valued customers include Ghanaians living in Ghana, the United States (USA), and Germany, the United Kingdom (UK), Italy, France, China, Japan and other worldwide countries. Shopadollar currently ships to countries in Africa such as Nigeria, Togo, South Africa, Liberia, Gambia, Malawi, Tanzania, and Kenya on a regular basis. Shop A Dollar offers a very reliable shipping service and therefore can guarantee your orders will be delivered when you use our extensive and up-to-date online store. We at Shopadollar Ghana, can ship to virtually any address in the world. However please note that there are restrictions on some of our electronic and computing products. Some products cannot be shipped to some international destinations. We estimate that your orders will take 4-6wks to be delivered to or from our depot in Ghana or USA to the destination country (or Collection point). 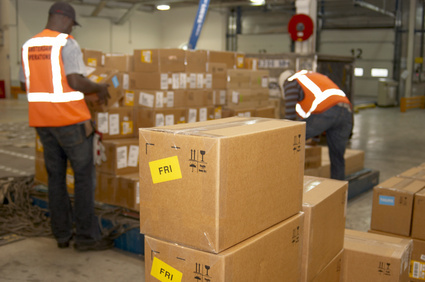 When you place an order with our company, we will estimate your shipping and delivery dates. The delivery dates for your Ghana computing nod electronic products will be based on the availability of the items ordered and the shipping options that you choose. Depending on the shipping provider you have chosen at checkout, these shipping date estimates will appear on our shipping quotes page. Please also note that the shipping rates for many items we sell at Shopadollar are weight-based. For your convenience, we have included the weight for each product on the product’s own information page. All weights will be rounded up to the next full pound; this is in order to match with the policies of the shipping companies we use. Unforeseen delays of your Ghana computer or electronic product orders can be caused by the destination Country’s' Customs Department. Site To Store - Not Available at store. Has to be shipped (4-6wks) from Warehouse to your Collection Point. Your electronic and computing purchases can be picked up from our special collection point at Community One, Tema Ghana, West Africa. Some manufacturers offer extended warranty on the electronic or computing products that are bought from our store. At present Shopadollar Ghana Customers are advised that they must register for extended warranty directly to the product manufacturer. However, it is part of our future plans here at our family run computing and electronic business in Ghana, to provide extended product warranty for all products sold at shopadollar.com. Our return policy currently covers only warranty Items.